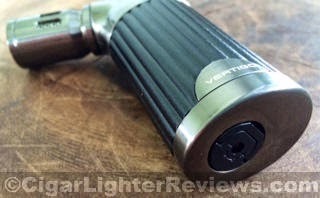 Vertigo continues to deliver intimidating powerhouse cigar lighters at very affordable price points. 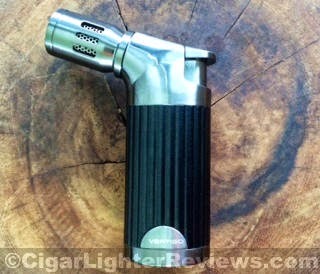 Here we have the new Vertigo Champ quad torch lighter in the gunmetal finish. The cool thing about this lighter is that it doubles as small table top lighter that can fit in your pocket for easy travels. No doubt this bring on some conversation at your local B&M. The Vertigo Champ has great aggressive styling that scream "bring it on"! Easily the best feeling lighter size wise in my hand that I have used with its oversized handle like body. Though, the body is made of smooth plastic and I did drop it twice, kind of "slippery". Gripping the Champ and pushing down the thumb action pusher emits four raging windproof torch flames. The flame starts blue and quickly transform to a brilliant red. The four jets are always visible whether in us or not, adding to the overall powerful look of the lighter. The Champ's flame is easily adjusted to your desired output. The bottom of this vertigo has a little tab that is flipped up with a fingernail, then rotates smoothly. Worth noting the fuel tank is huge as well. I would say this is more of a table top lighter. Though, it can surely be used as a go to cigar lighter as well. 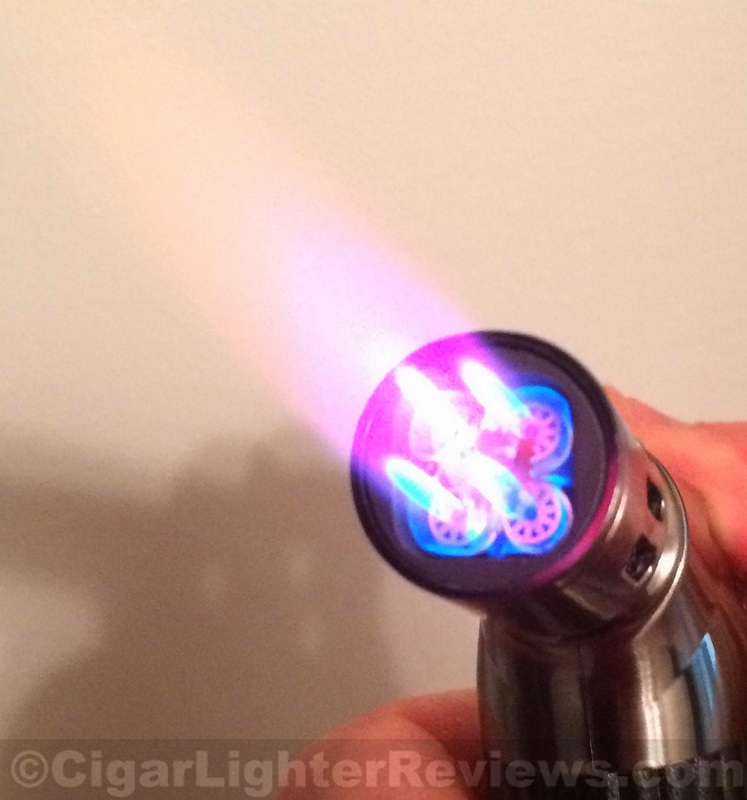 I guess this would make the Vertigo Champ the best hybrid torch lighter I have reviewed at the time of this review.